Advertising on Bhubble is arguably the best way to reach the "locals" in Rossland. We get, on average, 800 users every day visiting the site. In the last month (Nov 7-Dec 7) we had 250,000 pageviews, which is phenomenal for a small town website. Your ad will be displayed to our viewers at least once during their visit to the website. Currently, advertising is $100 for 4 weeks, or $30 per week. We accept payment via Paypal, cheque or at the credit union. I am happy to set up the ad for you, please send me an email and we can get started. Alternately, you can set the ad up yourself by following the instructions below. Create a Bhubble.com account and log in to this site. 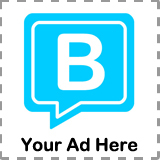 Go to your advertising dashboard and create your ad. An administrator at Bhubble.com will review your ad within one business day to approve or deny. You may be denied if you upload an image that is the wrong dimension or you use inappropriate language/images. 3. Choose the site(s) & date(s) you would like your ad to appear on. Once you have created your ad, you may choose where and when you would like it to appear. Based on these choices, you will be presented with a fee, you may pay the fee via PayPal or mail a cheque to: Bhubble.com / PO Box 849 / Rossland, BC / V0G 1Y0.